Combine all ingredients in a pitcher. Allow the ingredients to chill in the refrigerator for 1-2 hours before serving. Drink throughout the day or discard after 24 hours. Add the lemon juice to the glass of water. Finely grate the ginger and add to the glass of water. 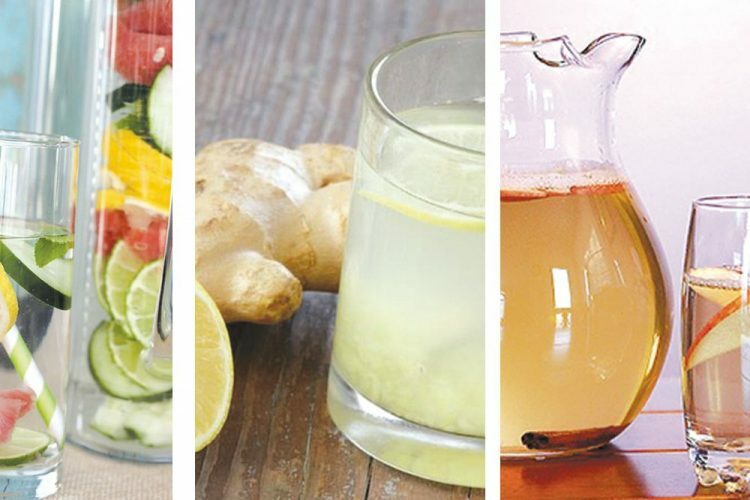 This drink is a perfect way to start your day, or it can be incorporated into a three-day cleanse and detox. Drop apple slices in the bottom of the pitcher (save a few to drop in your glass later) and then the cinnamon stick. Cover with ice about 1/2 way through, then with water. Place in the fridge for one hour before serving. You can refill the container 2-3 times before it begins to lose flavour.